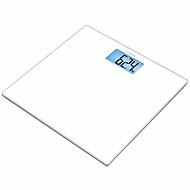 The Sanitas SGS 06s are highly reliable and practical personal weighing scales, finished in a stylish and modern design that will complement your home interior perfectly. They are made of high-quality safety glass, providing a durable and stable weighing surface. In addition, the large, reinforced weighing area is hygienic, easy to clean and simple to maintain. 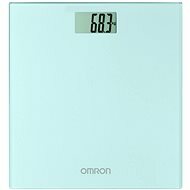 All of the obtained measurements are displayed on a large, easy to read LCD display. The SGS 06s come equipped with an automatic shutdown mechanism, operating when the scales are left idle. This ensures that battery power is preserved and guarantees a long service life. They are equipped to measure up to 150kg and have a high measurement accuracy of just 100g. 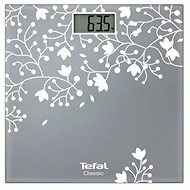 Batteries are included in the package so that you can begin to use the scales straight away! For shipping to other EU countries visit this page Sanitas SGS 06. Für Versand nach Deutschland, besuchen Sie bitte Sanitas SGS 06. Chcete doručit zboží do Česka? Prohlédněte si Sanitas SGS 06. Chcete doručiť tovar na Slovensko? Prezrite si Sanitas SGS 06. Für Versand nach Österreich, besuchen Sie bitte Sanitas SGS 06. Magyarországra történő kiszállításért tekintse meg ezt a termékoldalt: Sanitas SGS 06.